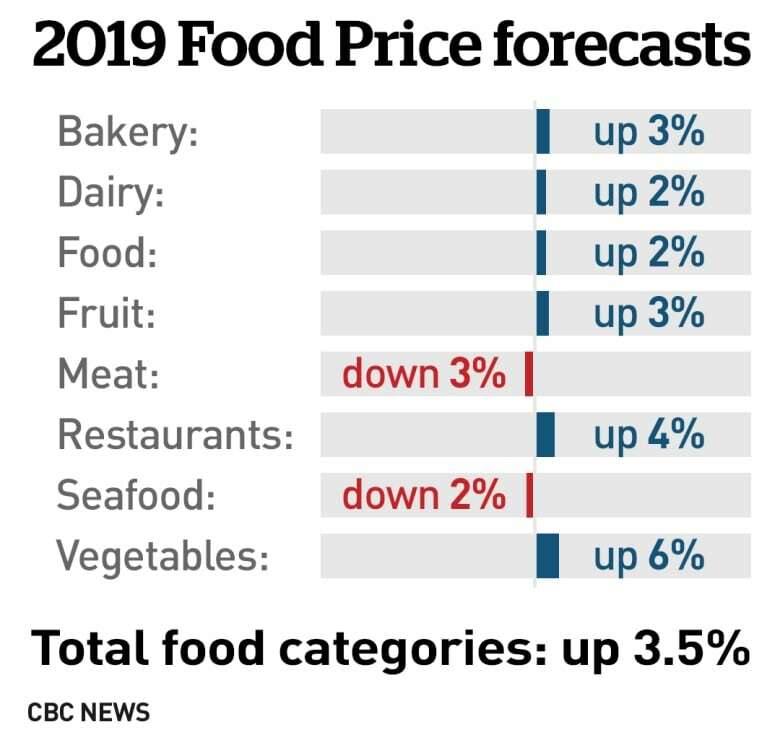 The price of food could increase by up to 3.5 per cent in 2019, an annual study of food prices predicts, but there’s good news for Canadian consumers buying meat and seafood, which are projected to become cheaper. 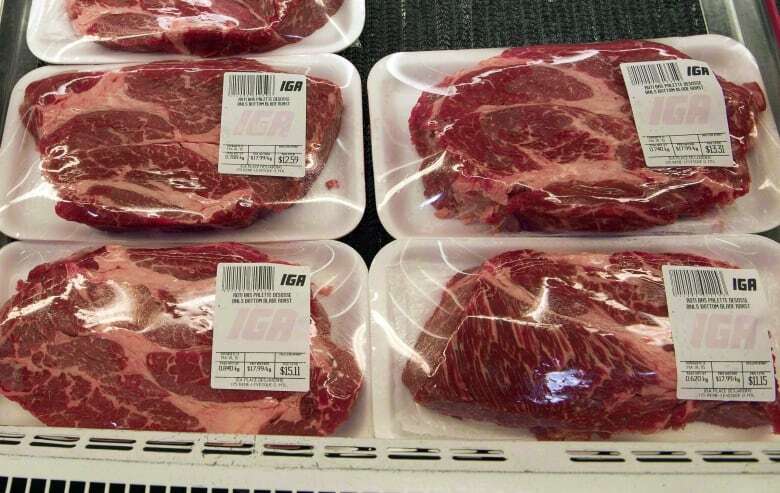 Canada’s Food Price Report 2019, an independent analysis produced by university researchers, predicts the price of meat will drop by up to three per cent and seafood by two per cent. The annual food expenditure for the average Canadian family of four is expected to increase by $ 411 in 2019 to around $ 12,157 for the year. 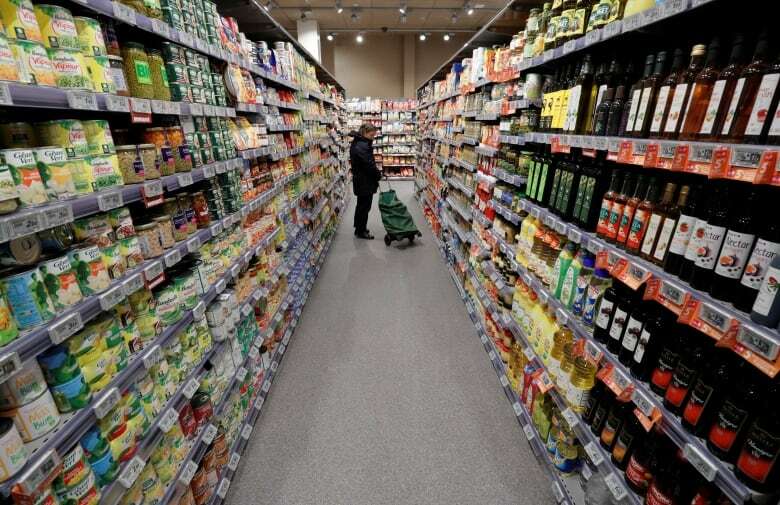 That hike is a little more than for 2018, when the overall cost of food rose by about 1.8 per cent, in line with the report’s predictions for the year, which was a 1-3 per cent increase. Restaurant prices, which rose steeply in 2018, are expected to take another jump and a family could spend an additional $ 143 on out-of-home food purchases. Food economy researchers from Dalhousie University and the University of Guelph look at numerous factors to determine how food prices might change, everything from the weather, the retail environment and changes among food processors to consumer preferences. A big trend is the drop in meat consumption, with a separate survey by researchers from the same two universities suggesting 32.2 per cent of Canadians are thinking of reducing their meat intake over the next six months. That is based on interviews with 1,067 Canadians over age 18 in September 2018 with a margin of error of 3 per cent or 19 times out of 20. The authors call this the “protein wars” with pulses and legumes replacing meat in North American diets, leading to a fall in demand, especially for beef. In the past year, Canadians consumed approximately 94 million kilograms less beef annually, compared to 2010. Young consumers are leading the way, with 63 per cent of vegans under age 38. That could mean big changes in the tastes of young families down the road. “We see a clear market segment that is changing. Under-35 females are leading the way to plant-based diets and that is having a big impact on food systems,” Somogyi said. Even Canada’s Food Guide, scheduled to be updated this year, is set to notice this trend, according to the Food Price Report. The report predicts the price of meat will spiral downwards until 2020, until food producers adapt to the new marketplace. Trish Hennessy, executive director of Upstream, a non-profit group focused on healthy living, points out that the food choices Canadians make depend on their income. “There’s the people who are buying organic vegetables and eating out. They’ve got lots of choices,” she said. Those low-income people will feel the impact of food price increases the hardest, she said. And lack of fresh food plays into health issues such as diabetes and increased childhood obesity. The kind of groceries people select also depends on their geographic location — in Canada’s North the price of fresh fruits and vegetables are so high that many cannot afford them. The price of seafood is also falling because of falling demand, though global market forces play a role, Somogyi said. The USMCA trade deal opens Canada’s market for poultry and eggs, but Somogyi said most of those price differentials are too small to have an impact.